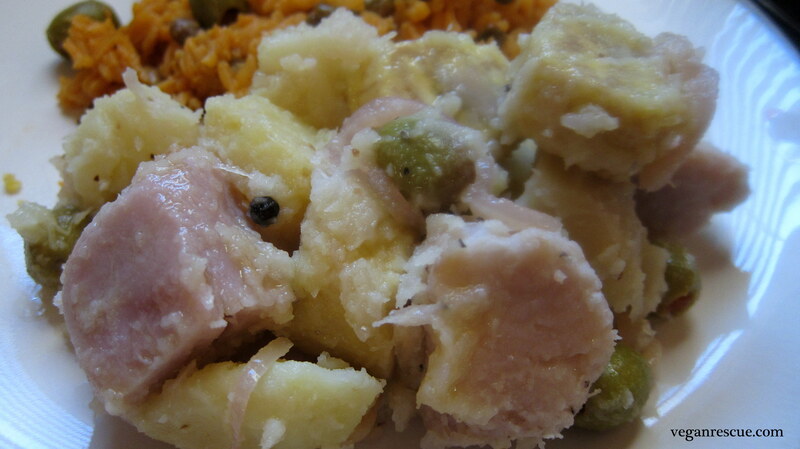 Yautía (Taro Root) and Yuca (Cassava) are root vegetables in a warm vinaigrette. A staple growing up in our Puerto Rican home. Viandas! – a root vegetable dish, including Potatoes and ñame (true Yam), served with Plantains or Guineos (Green Bananas) topped with Avocado and Pre-Vegan served with Bacalao (salted dried cod fish) or Hard Boiled Eggs. 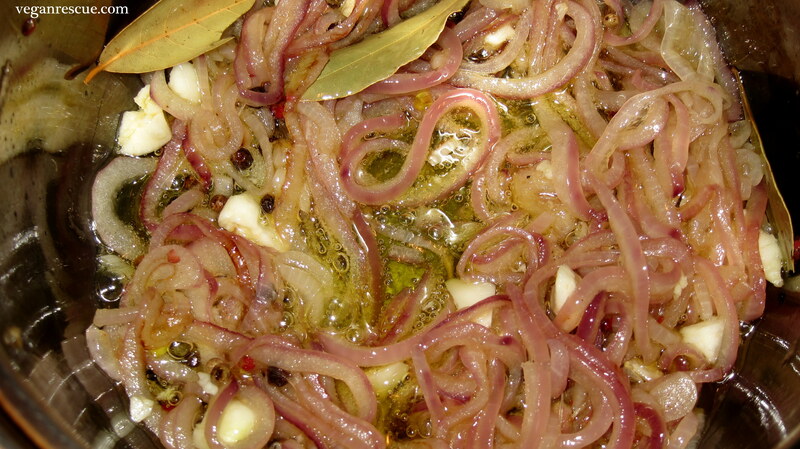 A simple dish drizzled with Olive Oil and fresh red onions, sliced thin. 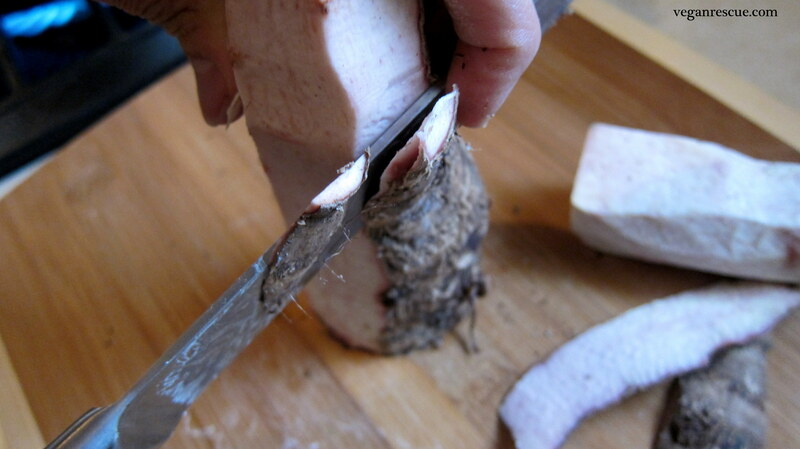 Yautía it’s healthy and low fat, taro root, is easily digestible. It’s a complex carb with Vitamins A, C and Iron. Yuca should be quartered to expose and remove the woody core. Technically speaking the core can be toxic uncooked. It’s easiest to remove the core before cooking. It’s not dangerous, however, when cooked. Verduras with Olive Oil is so simple and a favorite of mine. I really do love Yuca fries also. My husband and I went to Puerto Rico three years ago and ate at this restaurant in San Juan – their Yuca fries were to die for. 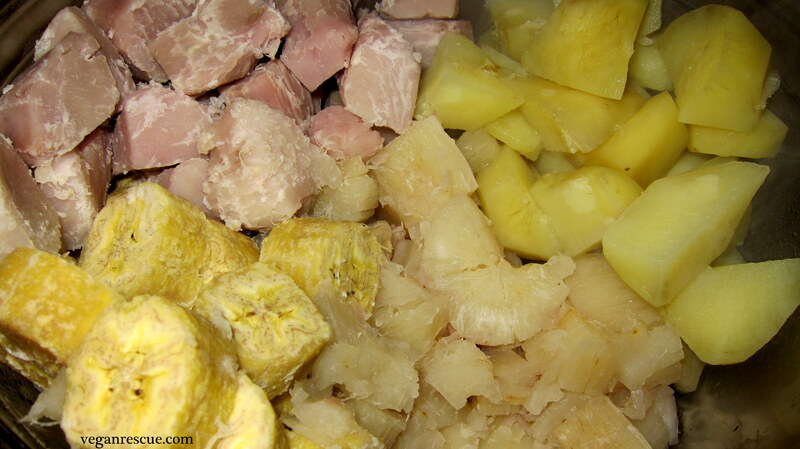 -Peel and Chop – Yautía, Yuca and Potatoes. Slice ends off Plantains and slice down from end to end. -Bring large pot of water to boil. 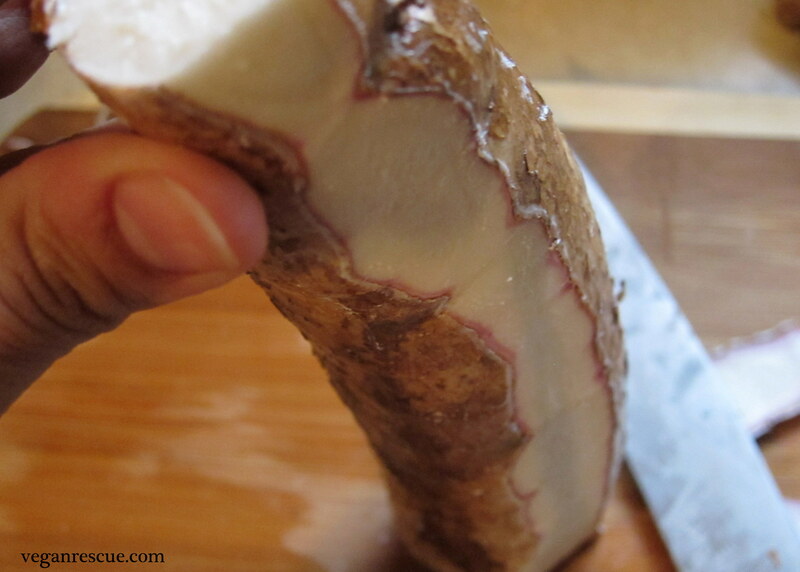 Boil: Yautia for 25 minutes. Yuca for 15 minutes. Potatoes for 10 minutes. Remove each and set aside after boiling. I cook each separately. 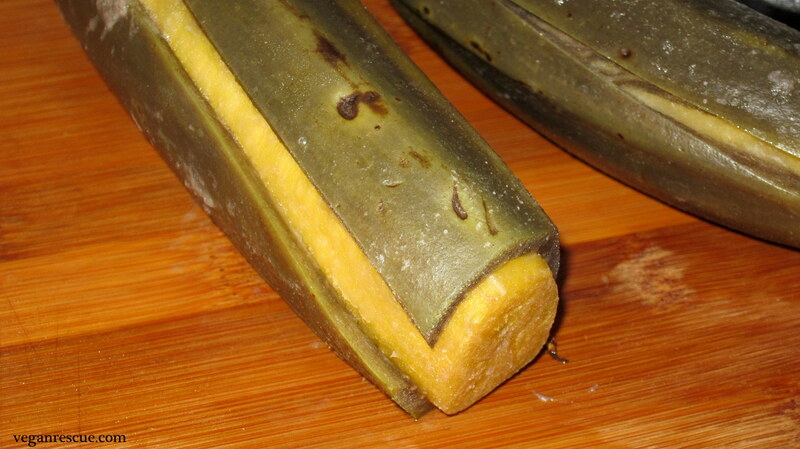 Boil Plantains with skin on for 20 minutes. It will be easier to remove the skin once it’s boiled. –Remove skin, cut into 1-inch pieces and set aside. 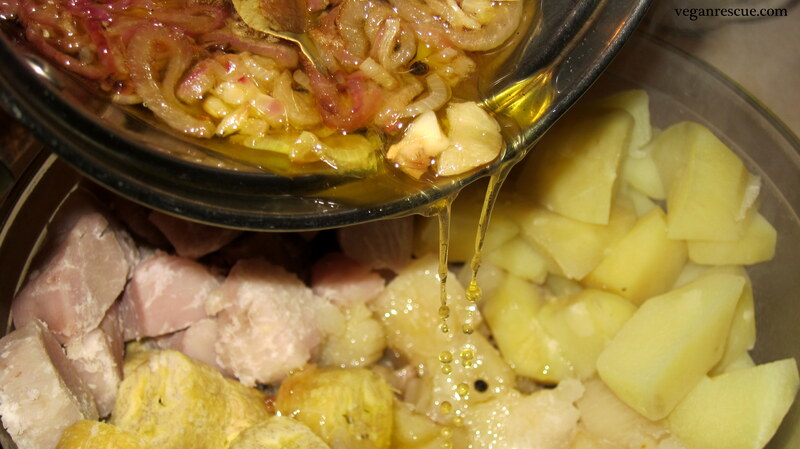 -In a medium saucepan, sauté onions, bay leaves and peppercorns in ½ Cup of the olive oil for about 5 minutes. Add garlic and continue sautéing for another couple minutes. -Add remaining olive oil, vinegar and olives. Combine root vegetables then pour pickling liquid over top before serving. Serve as a side and Enjoy! – I can eat this without a side. Lovely combination of fiber rich roots, vegetables and all in one dish! Love the look of it!